At the SWLfest this year, I attended a forum about web/Internet radio that resulted in my reconsideration (and, frankly, increased appreciation) of this now-conventional medium. If you’re already familiar with web radio, you may find this post a bit primary in nature; but if, like me, you hadn’t given the medium much consideration, I ask that you join us for a little rethink. I decided, just to be fair and broad-minded, I really ought to take an exploratory plunge into the diverse world of web radio. True, we’ve never discussed this on the SWLing Post before; as our name implies, we usually stick closer to our classic shortwave medium. But as we do like to cover international broadcasting in our post, we must acknowledge that internet radio is now a significant part of that far-reaching landscape. So, in order to cover the subject comprehensively, we’ve addressed it in two parts: This first post focuses on the platform of internet radio, and attempts to dispell some misconceptions surrounding it in the SW community. The second post will be a review of an ultra-cheap, rather unconventional web radio that will give you years of radio listening pleasure, should you wish to give it air time. I’ve also included some insightful comments from our SWLing colleagues, also the forum’s presenters, so do keep reading. First, a little terminology: There is no standardized name for the internet radio platform. Some people call the medium “web radio,” others call it “internet radio,” and manufacturers often refer to their purpose-built radios as “wi-fi radios.” All of these terms are correct and mean essentially the same thing, so we use them interchangeably here. Everyone reading this post electronically already has access to web or internet radio–all you need is access to a computer, a smart phone, or an internet-enabled device with an application or web site that can tap into databases of stations around the world. You’ve clearly got that. 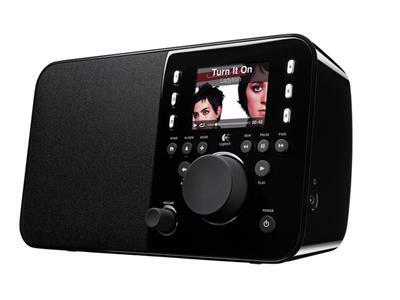 However, when most people think of web radio, they think of a tabletop device that looks like a traditional radio, but links to your home internet connection and plays music from the web. This type of internet radio is, of course, very convenient. You simply turn on the radio and literally tune across the world by means of a familiar tuning knob. By far, the web radio most of the SWLfest attendees preferred (and recommended) was the Logitech Squeezebox–for many reasons, including its comparatively open-to-development radio station server. Tabletop web radios are great, but let’s face it–they’re a bit pricey, easily $100+, not really portable, and only deliver internet radio. They’re the right solution for your kitchen, bedroom or home office, but you wouldn’t find it particularly convenient to travel with one of these or to move it from room to room. Plus, there is the risk that if you buy a cheap purpose-built internet radio, and the parent company goes out of business, your radio will no longer have a database from which it can pull stations. Eager manufacturers jump into the market, as so many did in the early days of wi-fi radio, only to realize later that it’s not the right avenue for them and discontinue their radio service. Because many of these radios run on proprietary software and servers, when their companies fall out of the market, these radios are unable to connect to stations any longer. In other words, should your radio befall this unfortunate fate, your sleek, high-tech device could abruptly become no more than a paperweight. There are several different Android and iPhone apps that can help you navigate Web Radio, with TuneIn getting consistently high marks for its comprehensiveness and quality of listings — i.e., listings are up-to-date, and have few broken links. The free version of TuneIn may be good enough for most people; the only notable restriction in functionality is that you can only maintain a personal list of favorites via the TuneIn website, not the mobile app; the paid version of TuneIn (99 cents for iPhone / iPad / Android / Blackberry), allows you to create and maintain a favorites list on your device itself. versions for iOS devices, Android, Blackberry, Windows Phone, and Palm devices. In essence, TuneIn turns your smart phone, iPod Touch or tablet device (like the iPad or Kindle Fire) into a sleek internet radio that not only tunes in stations from around the world, but gives you access to scanner activity as well (fire, police and public utility transmissions, for example). How custom you’d like it to become, depends upon 99¢. By the time the forum presenters had finished introducing this app, many of us in the room had already installed TuneIn on our phones and were checking it out for ourselves. Another mobile app worth considering is the free FStream, but you have to build a list of stations yourself–it does not come with a comprehensive directory. Many individual stations and station groups offer their own free apps, such as NPR, PRI, Radio France International, Germany’s DW, and Japan’s NHK; if you tend to listen to these specific stations, you may want the added functionality these individual apps may offer. But is internet radio “cheating?” Is it really radio? During the forum, I realized that many SWLers attending were more than reluctant to endorse web radio as an alternative to the familiar, trusted medium of shortwave radio. Prejudice, not to mention a certain amount of guilt, was detectable in the room. But as many on the panel were quick to point out, holding internet radio up to shortwave is really comparing apples to oranges–they not only don’t grow on the same tree, but shouldn’t be expected to. 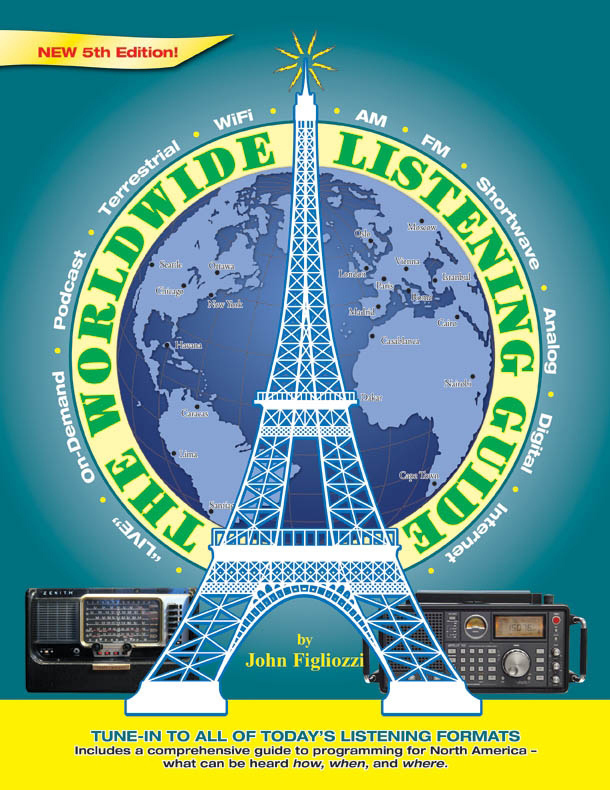 The argument that only (pick one) AM/FM, [or] shortwave can rightfully be called “radio” is actually counterproductive to the interests of those who truly love radio. Indeed, the success of radio as both a communications medium and art form is amply demonstrated by the manner in which it has blossomed into a number of manifestations–platforms, if you will–from its origins exclusively in medium wave wireless transmission. Many have lost credibility as they’ve loudly heralded the death of radio at the hand of (pick the latest new technology over the last 80 or more years). Every time, radio has remade and transformed itself into a more ubiquitous, flexible, relevant and contemporaneously useful medium. John makes excellent points here, and I must say that I agree. In fact, I now see web radio as a platform for discovering small, even semi-isolated, community radio stations that, until the Internet, had never broadcast signals beyond their local communities. With web radio, we can enjoy these stations as if we, too, are locals. Local becomes international. As ever, radio travels–radio opens doors and minds. My (happy) conclusion? Web radio and shortwave radio listening are symbiotic–vitally linked, interdependent, nourishing one another, and growing in tandem. There are several discussion and review-based websites on the subject of Internet Radio–there is a discussion group hosted at the Hard-Core-DX website that focuses on Internet Radio through the perspective of shortwave listening; check out http://www.hard-core-dx.com/mailman/listinfo/internetradio for specifics. If we’ve convinced you to take the plunge into internet radio, and abandon any prejudice or guilt you may have about doing so, you must read our second part of this internet radio post. Continue to Part Two of this post, which details using the Cricket Muve ZTE Score No Contract Android Mobile Phone as a highly affordable web radio. This entry was posted in Articles, Radios, Reviews, Shortwave Radio, SWLers and tagged C.Crane Wi-Fi Radio, Internet Radio, John Figliozzi, Logitech Squeezebox, Richard Cuff, Shortwave vs. Internet Radio, Shortwave vs. Web Radio, TuneIn, TuneIn Radio, TuneIn.com, Web Radio, Wi-Fi Radio on March 26, 2012 by Thomas.